Toca Boca's apps are gender-neutral, and are designed from a child's perspective. Mobile-first kids brand Toca Boca has crossed a major download milestone on mobile devices, as its 28 apps have surpassed 100 million downloads in total. 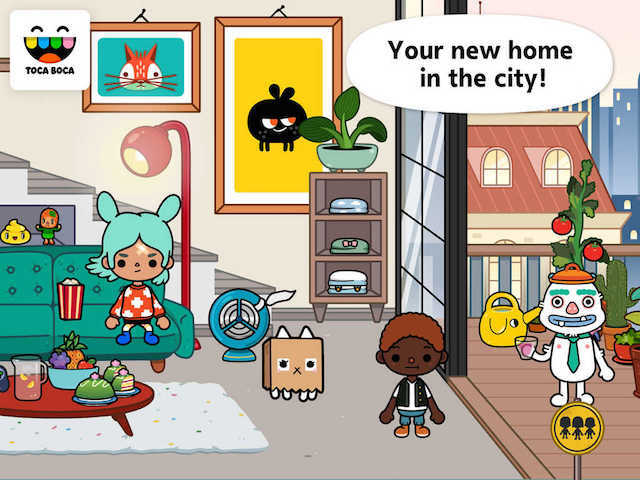 The company’s latest app, Toca Life: City (pictured), was released earlier this year, and allows children to explore multiple locations, including a shopping mall and their own loft apartment, as they meet new characters using their personalized avatar. To celebrate this milestone, the company has released an infographic of stats about its titles. Toca Boca released its first two apps, Helicopter Taxi and Toca Tea Party, in March 2011. Since then, the company has released 26 more titles, offering unlimited gameplay with the goal of inspiring a child’s imagination. The company has worked with over 1,500 children to test its apps before they reach app stores. Toca Boca’s products, which are described as ‘digital toys,’ are gender-neutral and do not include in-app purchases or third-party advertising. The apps are played on over nine million devices each month, with its top three apps (ever) being Toca Hair Salon, Toca Hair Salon 2 and Toca House. We are proud of this milestone and are excited to continue making digital toys that are fun and inspiring for kids. Reaching 100 million downloads in just four years speaks to the hard work of our team and the fact that both kids and parents recognize the quality of our products. This is an exciting moment and we are looking forward to what is next—we plan to remain a beacon for good quality kids content regardless of channel. In addition to its mobile products, Toca Boca is ‘exploring opportunities’ in additional areas, including consumer products, TV and video. Check out the complete infographic below.